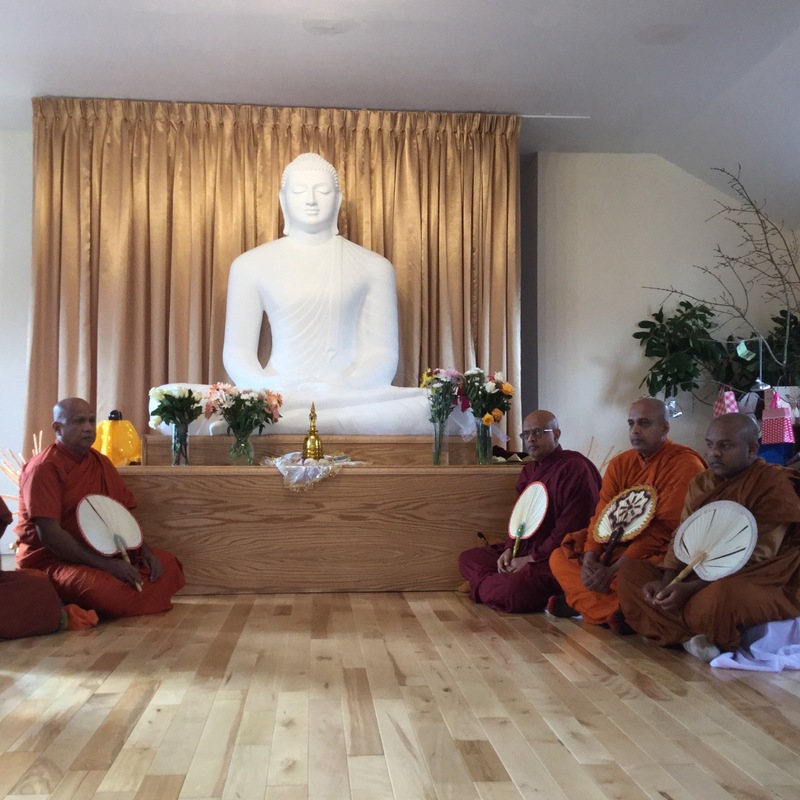 Atlantic Theravada Buddhist Temple Dedicated Nov. 7-8 2015 – Engage! 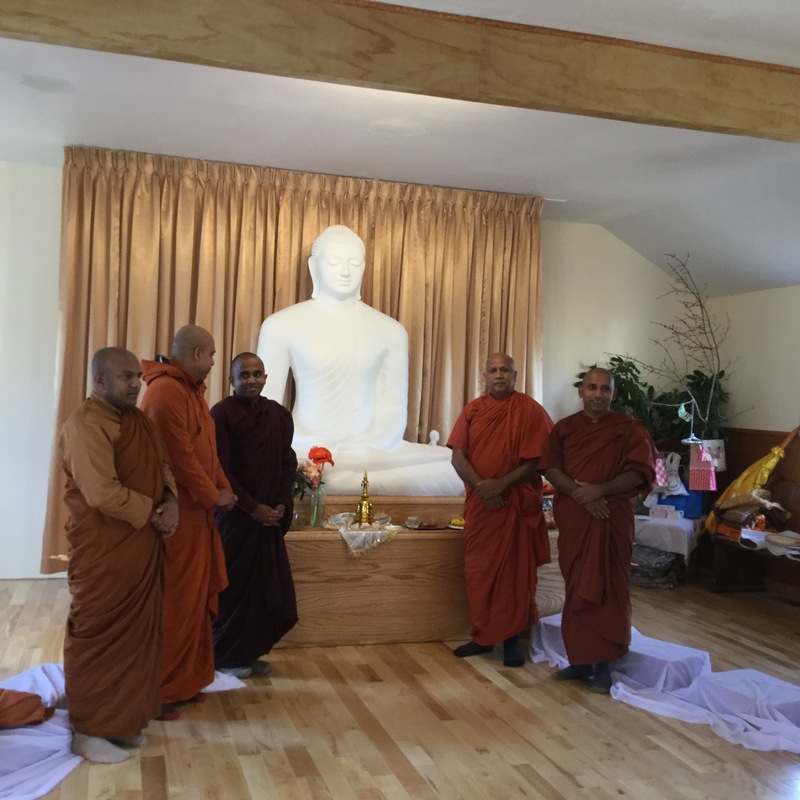 I attended the dedication of the new Atlantic Theravada Buddhist Temple at 817 Herring Cove Road, which took place over two days, November 7 and 8. I took a few photos during the two day stretch, but I limited my photos out of respect. 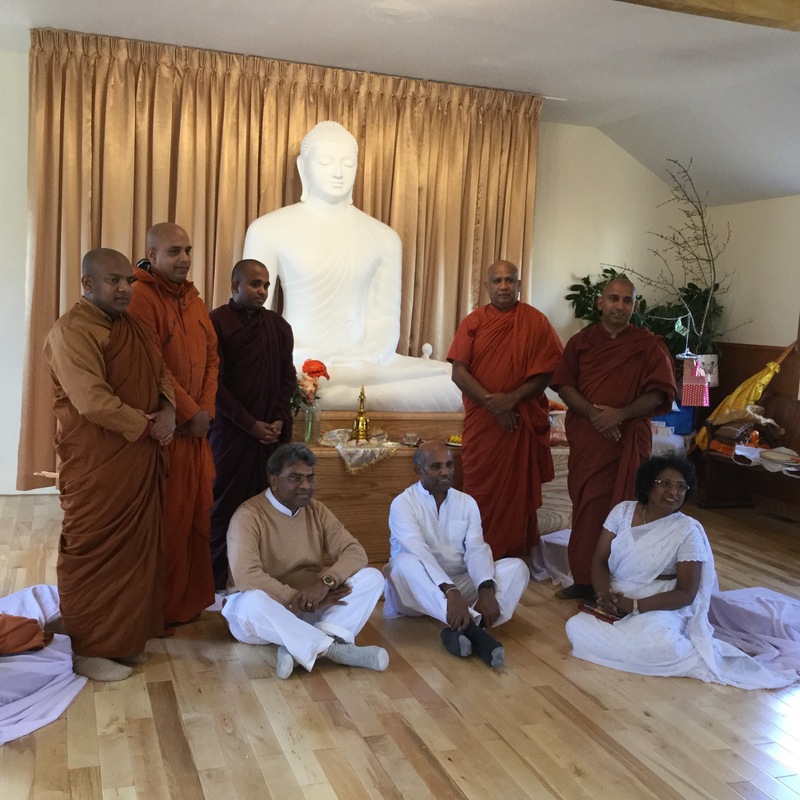 Eight monks were in attendance: seven Theravada monks from New York State and Toronto, and a Soto Zen monk who happens to live directly across the street from the new temple, who is now a dear friend of the community. In fact, he replaced the roof on the church, going up there and banging the nails himself. The church building is 50 years old and in good condition, formerly a Baptist Church. The interior is being quickly updated and restored. 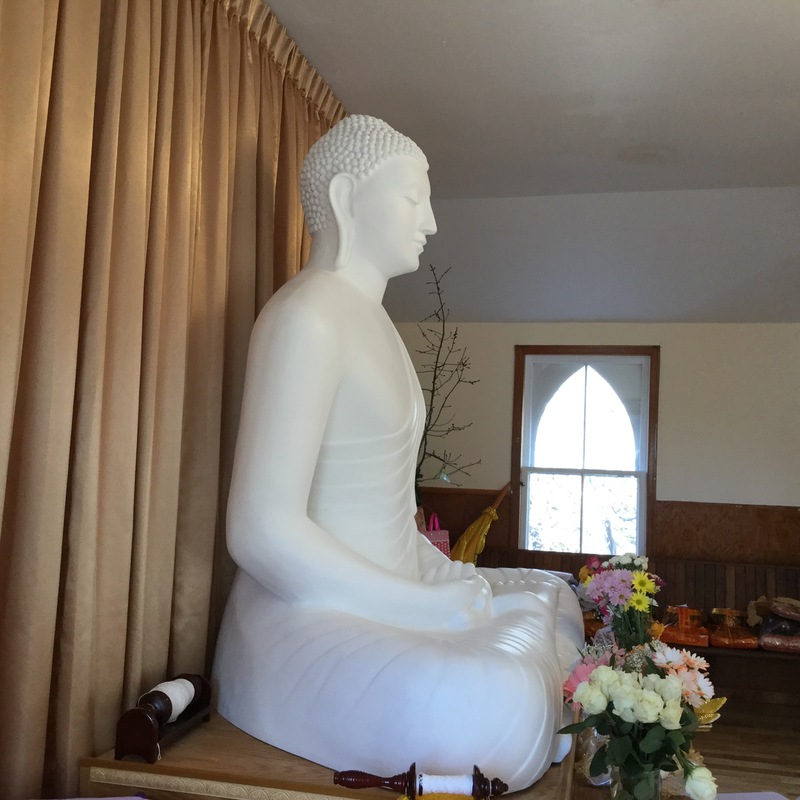 Bhante Sirinanda, the resident monk who has been with the community for nearly a year, will soonl be living in the temple. The ceremony on Saturday night was quite intense. The eight monks carried in trays of lotus blossoms, which I have never personally witnessed before. 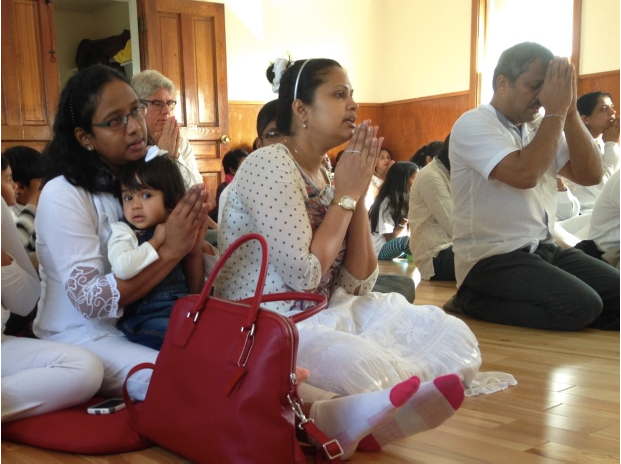 This was followed by addresses by the lay leaders of the sangha and the presiding monks. This was followed by three hours of chanting in Pali. The last ritual was being blessed with “holy water”: a monk pours the water in your hands and you drink it, and then you pour the rest over your own head, in a kind of ritual cleansing. Another monk ties a white thread around your wrist, to show that you are “tied” to the Buddha, dharma and sangha. 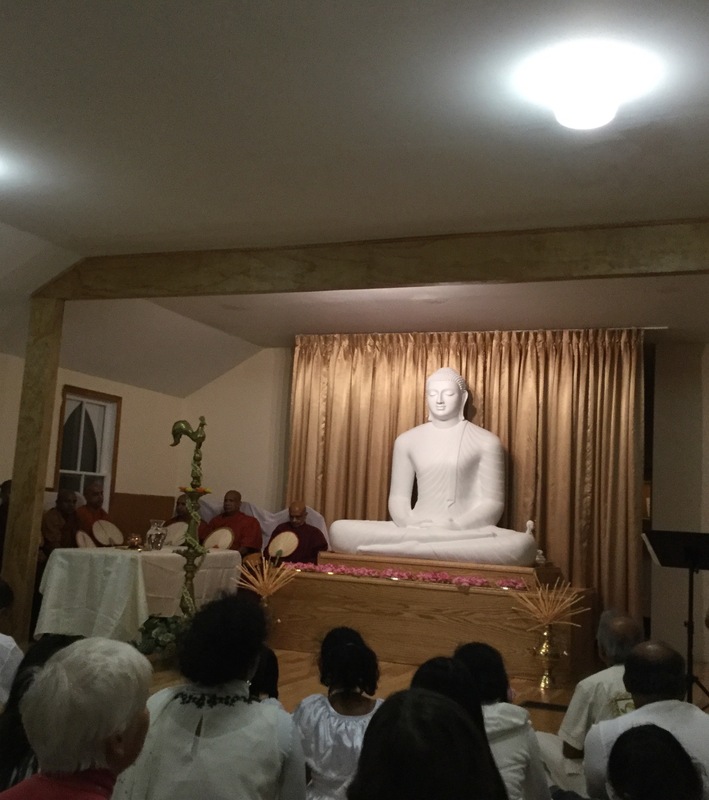 The most remarkable thing is the statue of the Buddha himself, which was flown in from Sri Lanka and arrived three days before the opening. I hope the photos will convey the immense size of this statue. Honestly, it’s so huge I don’t know how they ever got inside the church. A CBC reporter came and covered the events on Sunday, and caught me in a photo, as one of the “anybody’s welcome”.